You can create a functional and inviting kitchen your entire family will enjoy without spending a fortune. The average cost of a kitchen remodel is $12,700 to $33,200. Instead of breaking the bank, get rid of that remodeling itch with these ten DIY kitchen updates, all for less than $100. Give your chrome sink a fresh look when you paint it. Use sandpaper and a $4 can of spray paint designed for metal to refresh your sink for a fraction of what you would pay to replace it. 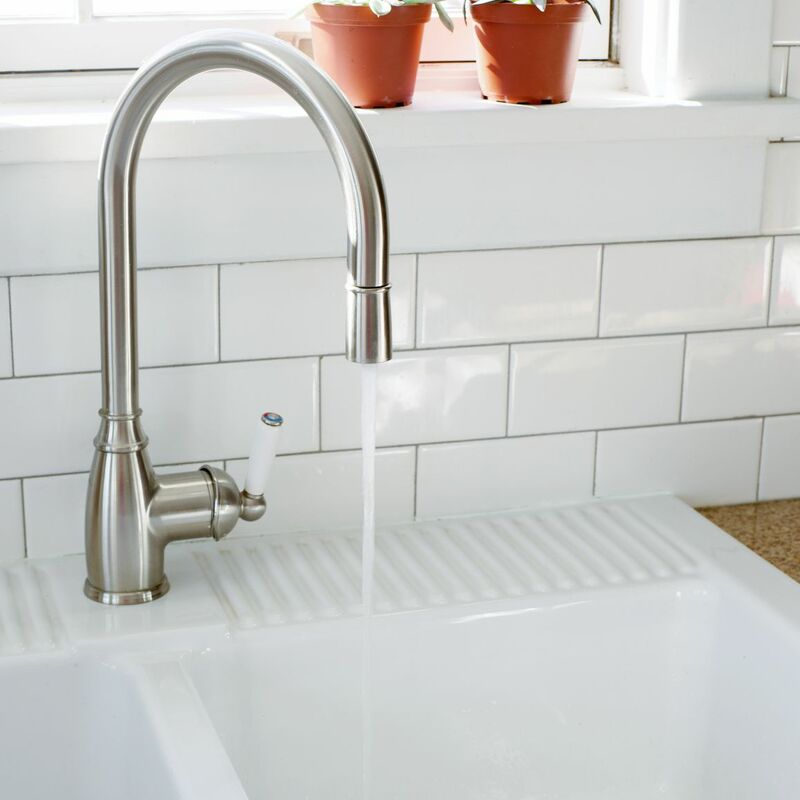 If painting’s not your thing, upgrade the faucet, a focal point in your kitchen. Select a stylish faucet or a design that fits your personality. A decorative light fixture upgrades your kitchen’s appearance and only costs $30 to $90. Select a fancy, rustic or chrome light fixture that matches your existing decor or kitchen’s color. 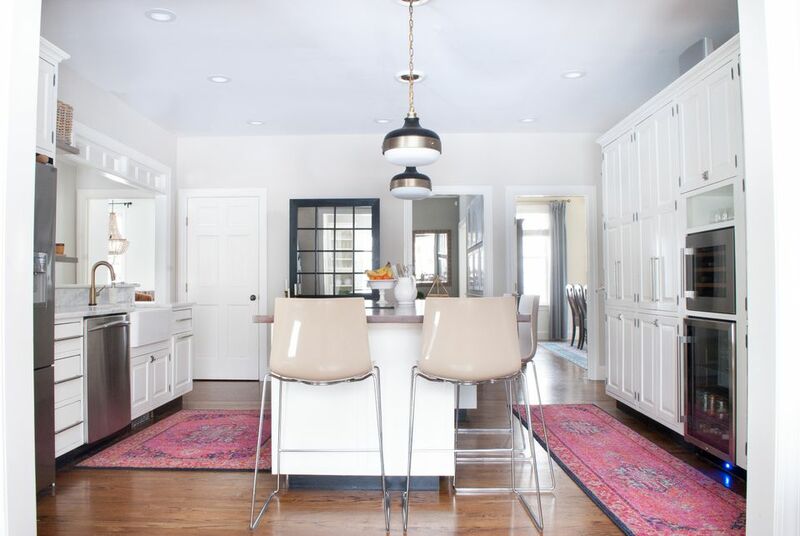 Alternatively, you could add a statement floor lamp or hang $8 battery powered LED lights under or inside the cabinets, two smart and affordable ways to increase lighting and create a cozier and more welcoming kitchen space. Fill in nicks or holes with wood putty. Sand the surfaces between paint or stain layers. Consolidate weekly menus and give your kids space to draw when you paint a chalkboard on your refrigerator doors. With painter’s tape, outline the shape and size of the chalkboard. Then apply a few thin layers of $20 magnetic primer and $10 chalkboard paint. When the chalkboard dries, your family will enjoy your new and functional fridge doors. DIY Chalkboard Fridge from Sincerely, Sara D.
A pop of color on the wall draws the eye and adds excitement to a kitchen. 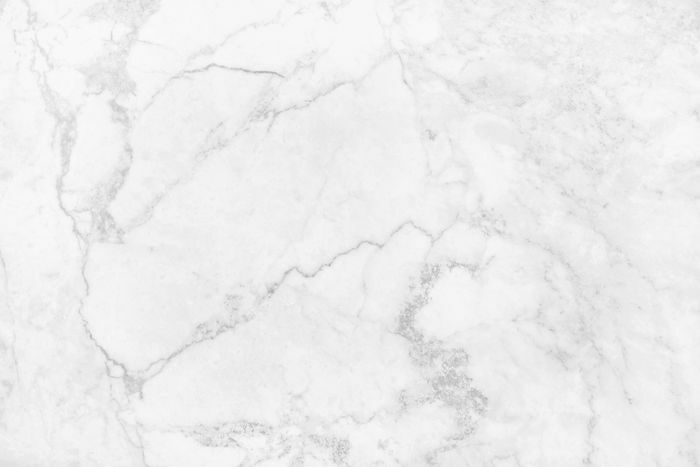 You can create a DIY ceramic backsplash for $25 per square foot or a stainless-steel backsplash for $36 per square foot. You can also choose tile, stick-on metal, or chalkboard paint. Once complete, your colorful or textured backsplash will add visual appeal above your sink or behind your stove. Colorful, textured or decorative outlet covers in chrome, bronze, or Steampunk give your kitchen a new look. To save even more money, decorate your existing covers with paint, paper, or decoupage. Your cabinet handles and drawer pulls may seem insignificant, but they make a big impact on your kitchen’s appearance and style. With your new hardware, a few tools and a bit of time, you’ll add personality and style to your kitchen. The average kitchen has 40 drawer pulls or knobs, so browse your local big box store for an affordable set of hardware. For fine vintage, decorative, or colorful hardware, check out local estate sales or a Habitat for Humanity ReStore. Customize your kitchen and maximize its space when you transform an empty wall, cluttered drawer, or unused cabinet into storage for pantry items, cookbooks, or pans. The cost of this kitchen improvement depends on the size, type, and finish of the shelving units, single shelves, pull-out trays, lazy Susans, and other storage options you choose. Now’s a wonderful time to update your kitchen decor and ensure the room reflects your personality and style. For a few bucks, replace worn rugs, boring curtains, and collectibles you no longer love with a new floor runner, bright fabric curtains, and pretty artwork. Spend a few hours clearing clutter from your kitchen cabinets and counters. Toss outdated or unwanted food, donate utensils and appliances you no longer use, and remove items that don’t belong in the kitchen. You won’t spend a dime to create a tidy kitchen that's also more functional and spacious.